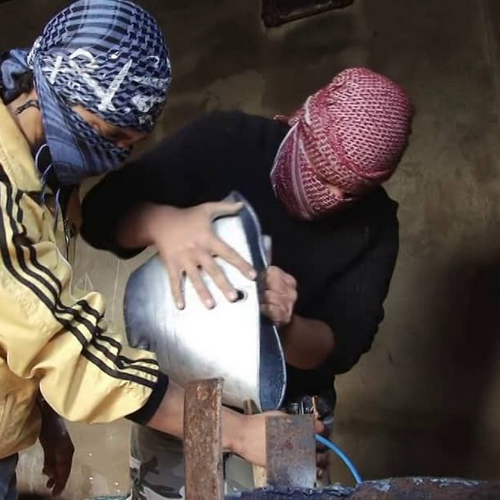 Abu Moawiya, a local battalion commander spends much of his time with his men working on dangerous jobs, such as making homemade bombs by stuffing explosives into metal pipes, which are widely used against tanks, armored personal carriers and against Syrian government troops. “These explosives are for our need in the battles. Nobody gives us the order. We get the orders from our need. Other than our needs there are no orders. This is the way we support the war against Assad’s gangs” Abu Moawiya said while supervising of the production of his deadly bombs.